Unproven allegations can completely destroy your career, and one prominent example is that of Sreesanth. Shantakumaran Sreesanth, the former Indian pacer, has always been a controversial figure in world cricket. He was a character on the field, and his very expressive and aggressive nature made him one of the most loved cricketers of his time. His behavior wasn't liked by some of the cricketing experts and some senior members in the side as well, but for viewers, it was worth their time to see his mind-blowing celebrations. Sreesanth, after being involved in the spot-fixing scandal, has always been trolled using terms like 'fixer' and 'banned cricketer', but he has earned a huge number of fans since he joined the entertainment industry. Sreesanth had the potential to be a big fish! Sreesanth was a really promising talent, and his wonderful bowling had earned him some praise from none other than Allan Donald. However, he was always warned of maintaining his decorum on the field, but several violations of the Code of Conduct risked his place in the side. Although he hasn't been in action since 2013, he achieved quite a lot in the 8 years of international cricket that he played. He still remains one of India's finest speedsters in recent times, and perhaps the best in terms of seam position. The Keralite could swing it both ways and had the natural ability to bowl with pace. He had that aggression which is extremely essential for any fast bowler. Neither was he afraid of giving any batsman a stare or a look, nor was he reluctant to pass a remark or two. His aggression made him a fearsome pacer for the batsmen, but keeping his aggression aside, he certainly had the talent to become one of the greats. Born in a country where fast bowling swing bowlers are rare to find, he could even have made it to the list of all-time greats, had he only focused on bowling his beautiful conventional outswingers, with his upright seam and perfect wrist position. The true character of a fast bowler comes out when he returns for his second or third spell, and it was impressive to see him charging in with the same enthusiastic approach for the new spell. Such characteristics make any pacer envious! The biggest controversy - the life-ban! Often referred to as "controversy's favorite child", Sreesanth always made it to the headlines for his actions on the field. He was also involved in the "slapgate" incident along with Harbhajan Singh, which was another major controversy in his career. His career was abruptly cut short after his involvement in the 2013 spot-fixing scandal, which apparently has ended his career. He was handed a 5-year ban and ever since, is pursuing the legal route to get back to playing the sport at the competitive level. He had won the case in the Supreme Court and had received a clean chit from there, but the BCCI hasn’t yet given him the clean chit to be available for selection in either the Ranji Trophy or the IPL. 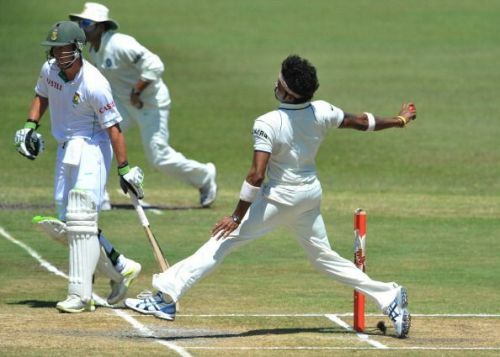 In 27 Test matches, Sreesanth managed to notch 87 wickets at an average of 37.6. He was always a great asset for the Indian side in overseas conditions, especially in South Africa. The 2007 series between South Africa and India was an absolute treat to watch for the viewers and would always be remembered for the fiery spells by Sreesanth. His career-best figures of 5-40 came during that tour itself, where Sreesanth rattled the Proteas batting line-up. The list of batsmen dismissed by him in Tests includes some absolute legends of the game. In his five-year Test career, he picked up the wickets of Kumar Sangakkara, Mahela Jayawardene, Hashim Amla, Graeme Smith, Jacques Kallis, AB De Villiers, Ross Taylor, Brendon McCullum, Eoin Morgan, Brian Lara and several other batting greats! His ODI career was also no less though. He had a high economy rate in this format, but again, he dismissed some big names, including Adam Gilchrist, Andrew Symonds, Ricky Ponting, Mark Boucher and Shoaib Malik. Moreover, he was a part of the 2011 World Cup winning Indian squad, making it even more special for him. Going back to the 2007 T20 World Cup, he had a huge contribution in taking India to the final. While Australia seemed to have been cruising towards the final, Sreesanth picked up the very crucial wicket of Matthew Hayden and helped India in winning the semi-final. And who could forget the final? An absolute thriller of a match against arch-rivals Pakistan, ending with Ravi Shastri's words, "In the air....Sreesanth....takes it!" He was even called India's lucky charm for being a part of both the World Cup winning squads, bringing to India the two most prestigious trophies. After a cricket career full of ups and downs, Sreesanth made it to the entertainment industry. He has participated in reality shows such as Jhalak Dikhla Ja Season 7, Bigg Boss Season 12 and Khatron Ke Khiladi Season 11. Moreover, he has played a role in the Bollywood film 'Aksar 2', and the Malayalam movie 'Team 5'. Recently, he had a role in the movie 'Cabaret' which released on the digital platform. His stay in the Bigg Boss house was highly controversial and his performance in tasks was questioned as well. However, none of these diminished his popularity and he was praised by a large number of supporters, celebrities, former contestants and even fellow housemates for his innocent nature and straightforward attitude. Perhaps it's time for justice now! Ever since his participation in the reality show Bigg Boss Season 12, his fans have been very vocal on Twitter and there have been several trends in favor of Sreesanth, requesting the BCCI to lift his ban and allow him to play cricket. He has received a lot of love and has gained thousands of fans. 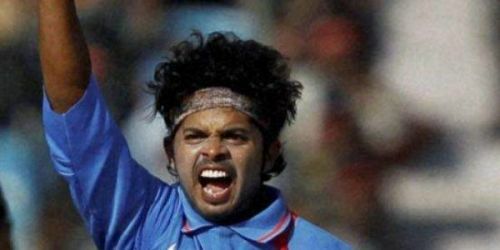 Sreesanth, after not being allowed to play competitive cricket even after receiving a clean chit from the Supreme Court, has filed a case again. The Supreme Court saw the bench change in the first month of 2019 and the case is sill going on. On 23rd January, 2019, he had a hearing in the Supreme Court regarding his life ban case, and the matter was adjourned to 30th January. Sreesanth's fans are expecting a positive verdict on the 30th, in favor of him. Reports state that the Supreme Court bench seemed interested in the matter and waned to pass a decision. As cricket fans, let's just hope and pray that he gets his livelihood, his passion, and his cricket back!